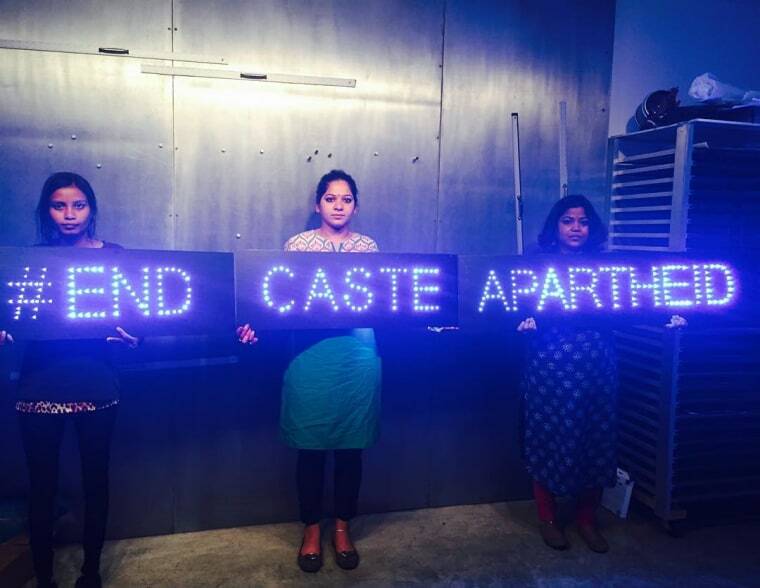 #DalitWomenFight Brings Fight Against Caste-Based Violence to U.S. The Dalit Women's Self-Respect March, better known by its hashtag #DalitWomenFight, wrapped up its two-month 16-city North American tour this last month in Michigan. Created by the All India Dalit Women's Rights Forum/All India Dalit Mahila Adhikaar Manch (AIDMAM), the march began in India in 2014 as Dalit survivors and activists visited every state to draw attention to systemic caste-based violence and apartheid. Dubbed “the largest freedom ride to demand an end to caste-based violence in Indian history,” activists met with survivors, confronted perpetrators, called out public officials, and created art. The march then came to North America to help build the Dalit diaspora, to expose issues of caste privilege among South Asian Americans, and to connect with other women of other minority groups who are fighting similar battles. Bringing together personal testimonies, stories, song, photography, film, art, and discussion, activists brought their message to cities across the United States, including Los Angeles, Seattle, Berkeley, Chicago, Boston, New York, Philadelphia, Washington DC, and Austin. According to Ambedkar Association of North America, there are more than 260 million Dalits (officially “scheduled castes and scheduled tribes”) in India.